"Slip into the gap--the silent space between your thoughts where all possibilities begin." Interface is pleased to announce Whole Hole, Lana Williams’ third solo show with the gallery. 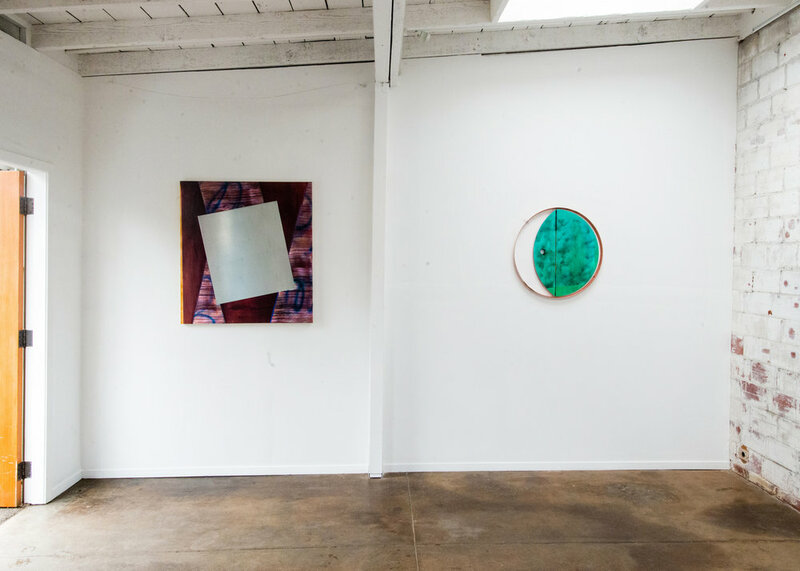 For this exhibition, Williams builds on the language of her abstract, shaped paintings. Williams’ interest in the structure of the canvas and the relationship between paintings and frames serves as a way for her to think about boundaries, expectations, and desires. Often, the canvases do not fit within their frames or even frame the frames themselves. In this new series, hinges attached to the paintings suggest movement and highlight the interdependence between painting and frame, negative and positive spaces. Openings formed by the negative spaces allude to windows, doorways, and passages - gaps into which we might slip? As always, color and texture play an important role in Williams’ work, creating a dynamic sense of movement and depth. 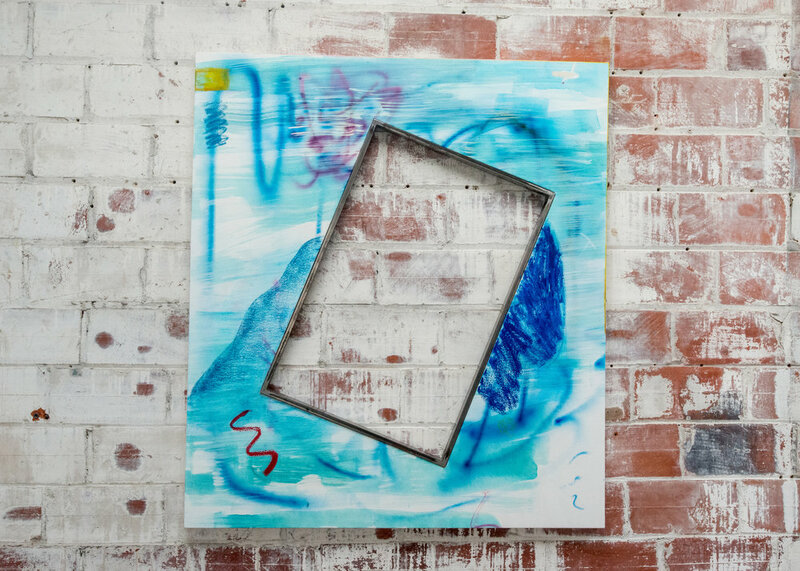 Additionally, Williams continues her experimentation with mark-making and surfaces, including using bleach, dye, oil stick, sculptamold and smoke-bombs to add, remove and build up marks. 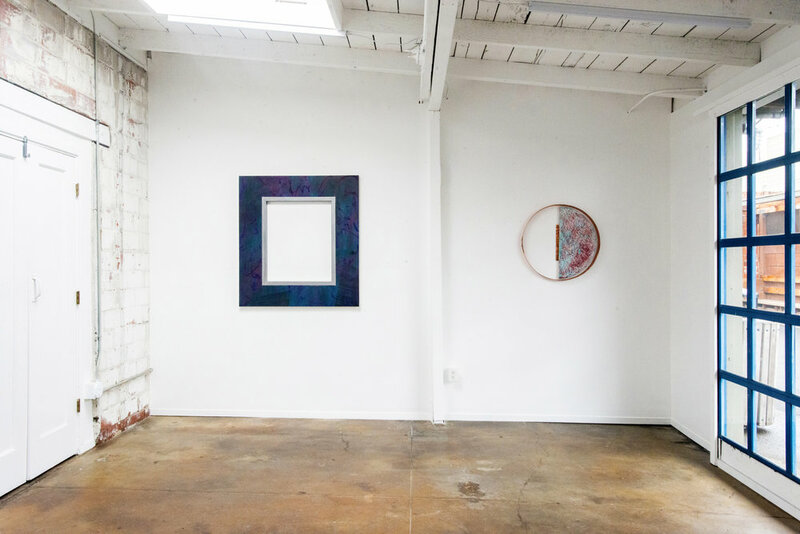 The title, Whole Hole, is a homophone referencing formal qualities in the work, and implies the idea of something that is complete or perfect even when appearances are not.